What's the Cost of a Home Appraisal? A home appraisal is a tool that lenders use to make sure the home you want a loan for is a good investment. Yes, it protects the lenders, but it can also protect you, the buyer, from making a bad investment as well! If you need a mortgage to buy a home, your lender will require a home appraisal -- where a professional estimates the value of your place to make sure it's at least enough to cover the mortgage. While the lender hires the appraiser, the buyer pays for it, which begs the question: What's the cost of a home appraisal? While the cost of a home appraisal varies by the size and location of your home among other factors, generally you can expect to pay around $300 or $400, according to recent estimates. Here's what you're getting for your money. Appraisals are educated guesses by licensed or certified professionals on a home's value in the current market. Unlike a home inspector, who looks for defects that could cost the buyer money down the road, an appraiser looks at home components that contribute to its value -- mostly location, square footage, number of bedrooms and bathrooms, and overall condition, says George Alexa of Alexa Residential Appraisal in Fairfax Station, VA, who has appraised more than 16,000 properties in the past 30 years. To assess a home's value, the appraiser will likely visit your home and compare it to nearby comparable homes, or "comps," that have recently sold. This is similar to how your Realtor estimates a home's value, but make no mistake, home appraisers don't work for home sellers or buyers. They work for lenders and help them decide if the home is a sound investment and worthy of the loan you're asking for. In short, appraisers protect the bank and buyers from a bad deal, so they're worth every penny. 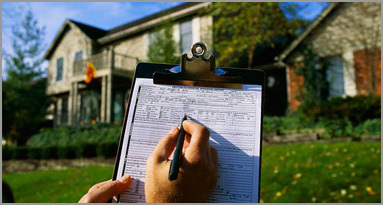 Once the home appraisal is finished, you will receive a copy of the report from your bank. If the home's appraised value ends up higher than what you're paying, generally the deal will move forward. If the appraised value is lower than what you offered, this can cause trouble, since your lender will offer you a mortgage only at the appraised price. Let's say you need a loan for $250,000 but the appraisal comes in at $240,000. The bank will cover only $240,000, which means you're $10,000 short of the money you need to buy the home. But all is not lost! If your offer included an appraisal contingency, you can renegotiate the price with the seller and, if she doesn't budge, walk away from the deal (and keep your deposit). Or you could decide to pay the additional $10,000 out of pocket so your home loan goes through. In either case, you have options, so discuss them with your Realtor. Be sure to get tickets to our upcoming July Social! The Blue Goat is known for its "neo-southern" cuisine inspired by Charleston and features a killer drink menu! It's free to attend and there's plenty of parking in the back! For more info, including directions, follow this link. June is the BEST in RVA! I love June in Richmond! There is so much going on, everyone's still excited about the amazing weather and not yet oppressed by the impending humidity! Here's a guide to what's going on this weekend! It's Father's Day on Sunday, there's a brand new event that Richmond is hosting this year and lots of fun to be had! The first time ever this event is being hosted in RVA! Watch as Slide the City turns an entire street (and it's kinda steep might I add..) into an awesome water slide!!! There are tiers of sliding times so you don't have to wait in line forever, and you get a drawstring backpack, a tube and a...mouthguard? Just in case. It's a world record length water slide, so come prepared for fun. Does your dad like beer? Duh. What about oysters? Eh, doesn't matter, there's beer! If you want to treat your father to something cool, take him to the hippest place in town to grab a brew and say hey, Dad, Thanks! From Forbes mouth to your ears (or eyes..)! It's a great time to buy right now while rates are still low and housing prices are stable! Mortgage rates fell for the first time in four weeks, averaging 3.60 percent, down from 3.66 percent. That’s a big drop. A year ago at this time, the average 30-year, fixed-rate home loan was 4.04 percent, according to Freddie Mac. Rates on home loans have been below 4 percent all year and have averaged less than 3.7 percent for the past 10 weeks, a boon to both buyers and sellers. Borrowing got cheaper for homeowners after last week’s employment report, which showed the economy created only 38,000 jobs in May, a big disappointment. Federal Reserve Chair Janet Yellen signaled on Friday that her team, out of an abundance of caution, isn’t likely to raise their benchmark rate when Fed policymakers meet next week. In a speech, she sounded an upbeat note on housing. Policymakers and markets are skittish about the economy’s uneven growth and many people are worried about potential shocks to the system coming down the pike. But for now, the U.S. housing market is reaping the benefits of that unease — cheap rates. From CNBC's Diana Olick, the current mortgage stats are in and rates are low! While this continues to be true and forecasted not to go up to drastically in the upcoming months, home prices are still appreciating. This means that if you're thinking about buying, but decide to wait, the mortgage and home you can afford today may not be so affordable next year! Last week's anemic jobs report for May pushed interest rates lower, but the desire for mortgages was already on the rise. Mortgage application volume jumped 9.3 percent last week from the previous week, according to the Mortgage Bankers Association. The results were seasonally adjusted, including for the Memorial Day holiday. The volume may have been making up for a big drop two weeks ago, or reacting to a slight drop in interest rates. Applications to refinance a home loan increased 7 percent, seasonally adjusted, from the previous week, and are nearly 14 percent higher than one year ago. Interest rates were higher at this time last year. Mortgage applications to purchase a home did jump 12 percent for the week, but they are down 19 percent in the past four weeks and down 6 percent from the same week one year ago. Given the high demand for housing, purchase applications should be higher, but a lack of affordable homes for sale is likely keeping volume low. "Given the weak employment report for May, we think it is unlikely that the Fed will raise rates in June," said Mike Fratantoni, chief economist of the MBA. "However, as other economic data are pointing to continued economic growth, we do expect that they will increase rates following their July meeting." The net share of Americans who say that now is a good time to buy a house fell to 29 percent in May on a monthly survey by mortgage giant Fannie Mae. That's an all-time survey low for the second- straight month and comes despite fewer people saying they are afraid of losing their jobs and more are reporting a higher household income than one year ago. "Continued home price appreciation has been squeezing housing affordability, driving a two-year downward trend in the share of consumers who think it's a good time to buy a home," said Doug Duncan, senior vice president and chief economist at Fannie Mae. "The current low mortgage rate environment has helped ease this pressure, and fewer than half of consumers expect rates to go up in the next year. While the May increase in income growth perceptions could provide further support to prospective homebuyers as the spring/summer home buying season gains momentum, the effect may be muted by May's discouraging jobs report." The average contract interest rate for 30-year fixed-rate mortgages with conforming loan balances ($417,000 or less) decreased to 3.83 percent from 3.85 percent, with points decreasing to 0.33 from 0.36 (including the origination fee) for 80 percent loan-to-value ratio loans, according to the MBA. "When rates have been near these three-year lows, we've only seen them dip lower briefly — and usually not by that much. That means locking is never a bad idea at current levels," wrote Matthew Graham, chief operating officer of Mortgage News Daily. "Even so, risk-takers could also find justification to float based on the hope that European markets continue to pull US interest rates lower as the European Central Bank (ECB) begins a new bond-buying program tomorrow." For borrowers who choose to float, Graham recommends setting a limit as to how much rates would have to rise before they'd lock to avoid further losses. 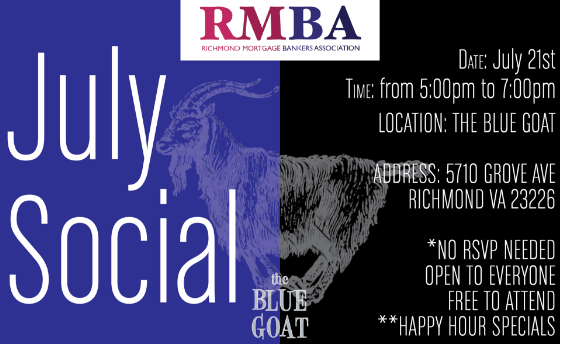 Don't forget to register for the RMBA June Luncheon! It will be held at Hondo's Prime on June 14th from 11:30 am - 1:00 pm. David Johnson from Credit Plus will be our guest speaker and talk about Trending Credit Data and the upcoming DU changes that impact our industry. Seating is limited and on a first come first serve basis, so register now! Check Out RVA This Weekend! There's so much to do this weekend in RVA! With Friday Cheers in full swing and festival season just getting warmed up, check out these (nearly) free activities to do in our fair city this first weekend in June. The Faire is a traditional celebration to promote the community and feature the strawberry harvest. The Faire is held on the 1st or 2nd Saturday in June, on the streets adjacent to the Randolph-Macon College campus the week after graduation. The Faire is a free, community and family-oriented event during which non-profit groups and churches raise funds and offer something for everyone. There are vendors selling arts, crafts, plants, and antiques to the thousands who attend. There are local businesses featured from Ashland and Hanover. West Broad Street between Henry St & Adams St. The mission of Broad Appétit is to provide an affordable and enjoyable local food festival in that is locally driven and regionally appealing. Broad Appétit exists to promote the amazing food, art, and music that makes Richmond a great place to live and visit. Broad Appétit is hosted by Downtown Neighborhood Association and benefits FeedMore. 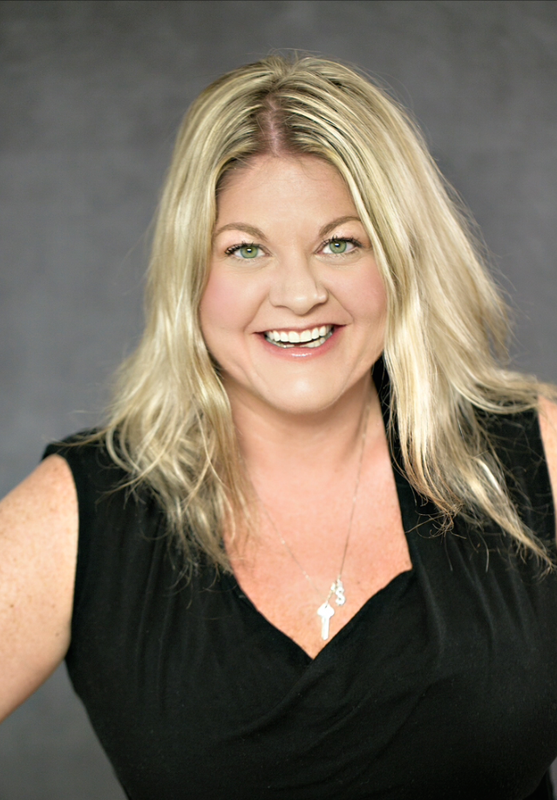 Get Preapproved and Edge Out Competition! Not only is this a competitive time of year for Real Estate, it's a competitive market all around right now! Which is why it's super important to get preapproved for you home loan before you even start getting serious about shopping, or you could get beat out for your favorite house by someone who has been preapproved. Not only will you know a more realistic price range for shopping around, but sellers will take your offer more seriously. It makes everything easier when you know what you qualify for! Getting preapproved for a mortgage can be a hassle. You'll have to come up with all sorts of documentation, such as proof of your income, bank statements, and much more. And, you'll have to be ready for a "hard inquiry" on your credit report. For these reasons and others, many homebuyers choose to wait until they've decided on a home to begin the mortgage process. While you certainly can do this, there are some good reasons to put forth the effort to get preapproved before you begin seriously searching for a home. For example, what if you find errors on your credit report that need to be cleared up, and your offer calls for a 45-day close? It could be a tough errand to get it done in time. Here are four compelling reasons to start the mortgage approval process before you start the house-hunting process. One of the most frustrating things that could possibly happen in a home search is finding your dream house, then going to the bank only to be told that you can't afford it. By getting a preapproval, you'll know exactly what the upper end of your budget is, which will help you narrow down your home search before it even starts. One word of caution: Don't submit your original preapproval letter with your offer, especially if you are offering substantially below what you can "afford." This gives the sellers more ammunition for negotiations. 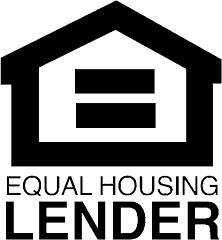 Most lenders will issue you a new preapproval letter for the exact amount of your offer (as long as it's under your preapproved maximum), so the sellers will have no idea of how much wiggle room you have. On that note, submitting a preapproval letter with an offer makes you a much more attractive buyer. Sure, your offer won't be quite as appealing as an all-cash offer, but you'll be taken a heck of a lot more seriously than a buyer whose offer is still contingent on mortgage approval. Your preapproval letter tells the seller that you want the house, and can actually afford to pay the amount you offered for it. And it also says there is hardly any chance that you'll run into financing issues before closing. You can deal with problems before you're in a "time crunch"
If there is a problem with obtaining financing, it's much easier to clear it up before you're locked into a contract. Let's say your credit score is too low, and that it's due to an error on your credit report. Well, this can take a month or so to clear up, and if you plan to close on your house in 45 days, it can put you in quite the time crunch. On the other hand, if you go for a preapproval, you'll have all the time you need to deal with whatever issues you run into, before proceeding to the offer stage. Maybe you'll need to order old pay stubs from your employer's payment processor. Maybe you'll need copies of your 2012 tax return that you've since misplaced. Or, maybe you have a borderline credit score for approval, and paying down a few thousand dollars of your credit card balances would push you over the limit. The point is that any of these are easier to deal with when you don't have a deadline. Because you have already submitted your income documentation, had your credit checked, and jumped through any other hoops in the mortgage process; you'll be in a position for a much smoother and quicker close than if you wait to start your application process until you find a house. The loan-closing process can take anywhere from two weeks to over a month from when you have submitted every piece of documentation the bank wants (and trust me, there can be a lot). However, if you've already done that, your lender can immediately start getting your loan ready to go as soon as you have a signed contract, instead of you scrambling for documentation. First, you should shop around for the best interest rates before you settle on a lender. This should go without saying, but many buyers just get one quote and go with it. Once you've done that, go ahead and submit your application for preapproval. The actual requirements for a preapproval letter can vary by lender. For example, some don't need you to document your income until you are under contract on a home. However, make sure you're getting a "preapproval" and not a "prequalification." . A prequalification just basically takes the income numbers you state and determines how much house you could afford. A preapproval always includes the very important step of running your credit to determine if you can actually get approved, and sellers know the difference.